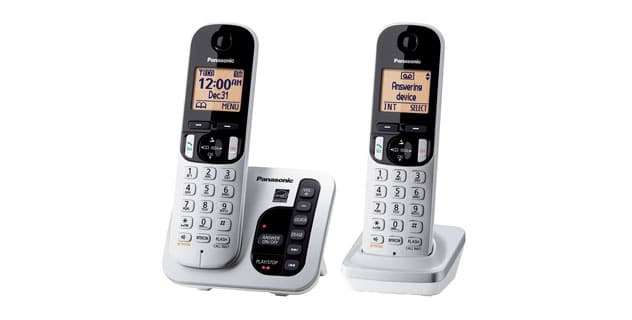 If you’re in a hurry, check out our top pick, Panasonic KX-TG9541B Link2Cell Cordless Phone. A growing number of consumers are dropping landline in favor of using their cell phones for all calls, but it’s a good idea to think twice before you do so. Landline cordless phones offer important features your cell phone can’t: clear sound quality, better coverage, and dependable reception so you won’t have an embarrassing dropped call in the middle of an important phone conference or discussion with a client. In Consumer Reports testing, voice quality on cordless phones was typically better than that of even the best cell phones. You know you need a reliable cordless phone for home or the office, but which one is best for your needs? Cordless phones today can do everything, it seems. From taking cell calls using Bluetooth technology to two-line support and headset jacks, choosing the right phone requires considering how you plan to use it and which features you really want to pay for. One of the first decisions to make is whether you want a built-in answerer. Cordless phones with an answering system are a bit larger and more expensive than basic cordless models, but they let you record messages, listen to callers to screen calls, choose the number of rings and a toll-saver, switch the answerer on and off, and navigate your messages. You get a mailbox with a message time stamp, a message counter display, and a visual indicator that you have messages. You should also consider whether you want a corded base. A cordless handset needs power to work from AC or batteries, but a corded handset works without power as long as it remains connected to a conventional landline or you have battery backup for VoIP service. If your area is prone to power outages, a corded base is a good choice. LCD screen on handsets and/or bases to display your phone directory, caller ID, battery life, and other information. Headset jack. A headset jack with a belt clip allows you to chat while you move about the room or look through paperwork for a hands-free conversation. Two-line support. This feature allows you to receive calls for two phone numbers on the same phone. Some phones give two distinct ringers to let you know which line is ringing. This feature is very handy if you’re conferencing with two callers in a three-way conversation. Auto talk. This feature means your call connects as soon as you lift the handset from the base. Battery backup. This feature means your phone can keep working if you lose power. Multiple handsets. This option allows you to have an intercom mode or answer calls throughout the house. Read on to learn about our ten favorite cordless phones for any budget. 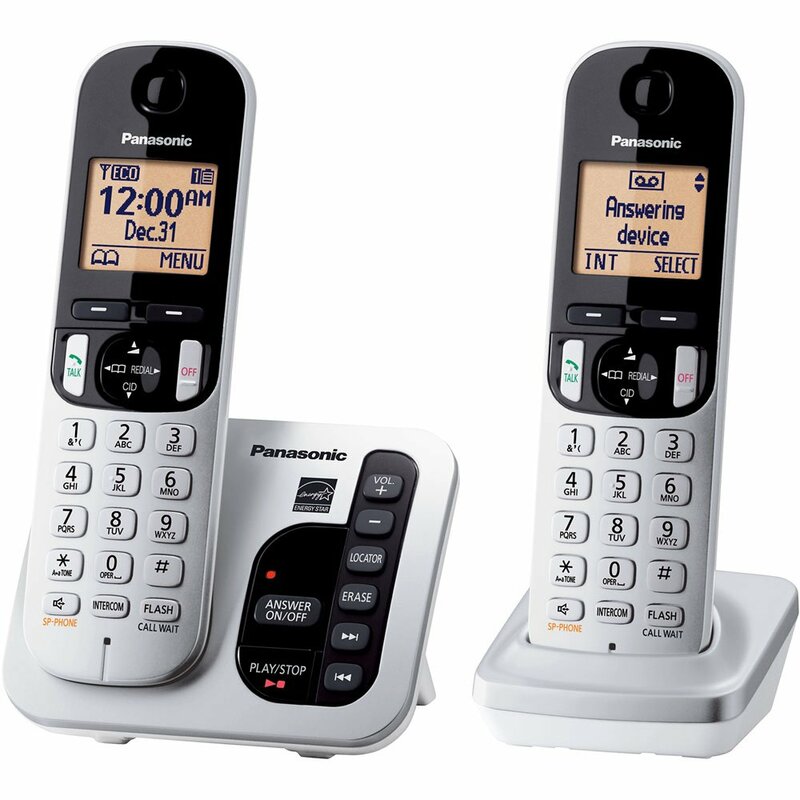 If you are looking for the best cordless phone then make sure to get the Panasonic Link2Cell Cordless Phone as this is their best phone to date. From noise reduction to bluetooth support, this phone boasts a number of features including a digital answering system. 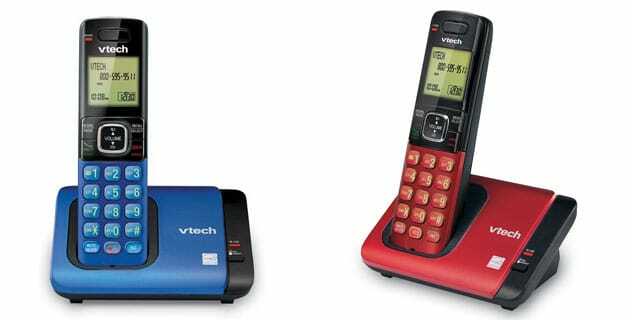 Vtech is the most well-known name in cordless phones. The CS6719-15 is one of their most basic models with Caller ID and an expandable system to add up to five additional CS6709 handsets. This model makes it easy to view call information in low light with a backlit display and keypad. You can also enable the quiet mode to silence the ringer to avoid annoying interruptions during a meeting. Like all Vtech cordless phones, this model uses DECT 6.0 digital technology, the most advanced cordless platform for better sound quality without interference from wireless networks. Caller ID and call waiting with incoming call information displayed on handset. 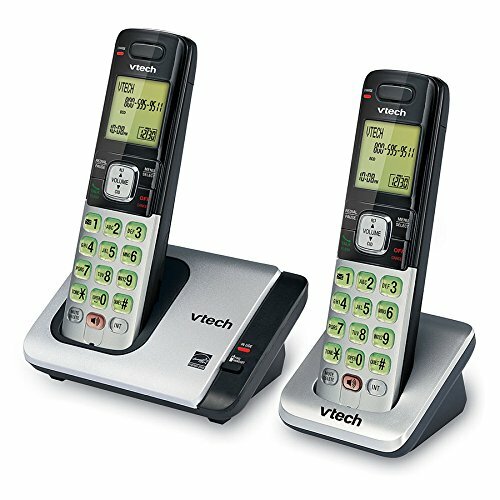 For slightly more than its base model, the Vtech CS6719-2 cordless phone comes with an additional cordless handset. As with the base CS6719 model, this cordless phone system can be expanded to up to 5 headsets with CS6709. It also features the same DECT 6.0 technology for superior sound quality. With full duplex handset speakerphone, you can increase call participation. Both sides of the conversation can speak and be heard without canceling each other out for more true to life conversation. 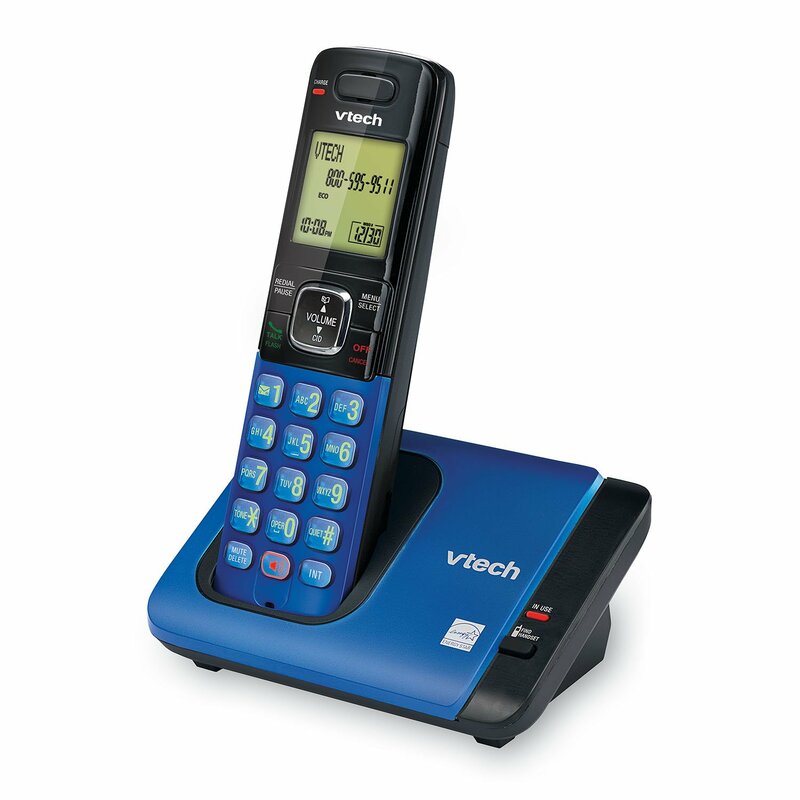 The CS6719-2 is one of Vtech’s most popular cordless phone systems. With two headsets, you can have conference calls with an outside line and both headsets. The interference-free technology means other devices and networks in your home or office will not interrupt your calls for crystal-clear calls, even when you’re surrounded by electronics. The only downside is the Caller ID feature does not provide a time and date for missed calls. You will see the calls you have missed, but you will not know if it was an hour ago or the day before. One of the best business features about the phone is two-line support. 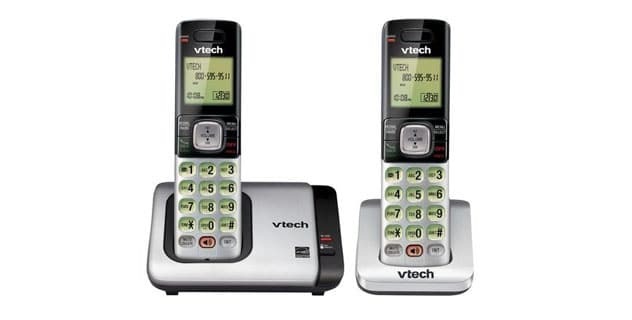 With the Vtech system, you can receive calls from two separate phone numbers with distinct ringers for each line so you know which is ringing. The clear conference calls without interference is also a major selling point with Vtech. 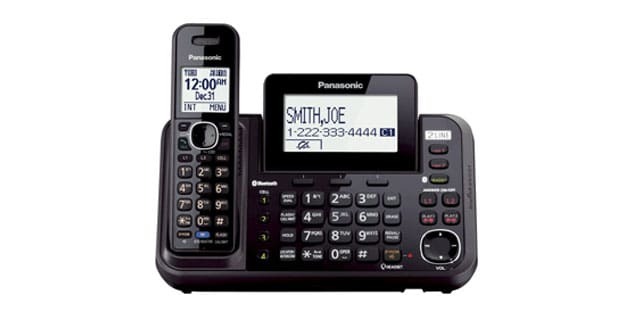 The Panasonic KX-TGC222S cordless answering system is a popular office phone system that includes two handsets. You can also expand the system with the ability to handle up to six handsets on the same line with additional handsets sold separately. 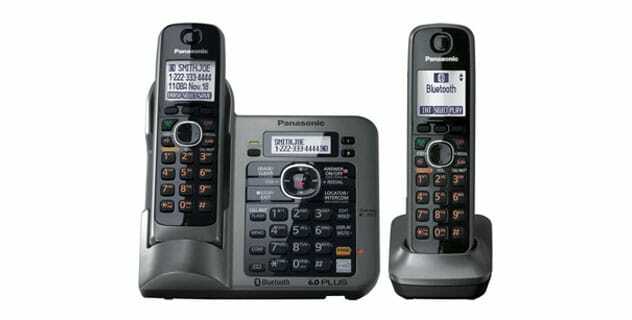 Note that this model has been discontinued by the manufacturer, but it remains one of the top-rated cordless phone systems from Panasonic. With the KX-TGC222S system, you can handle all daily communication with a digital answering machine, caller ID, call block, silent mode, and other features. This system is Energy Star rated with Intelligent Eco mode to automatically reduce power consumption when the handset is used near the base. Like Vtech systems, this Panasonic cordless phone uses advanced DECT 6.0 Plus technology for better range and excellent sound quality. A nice feature of the Panasonic system is a handset locator to find a misplaced handset. Looking for a reliable cordless system with enough handsets? 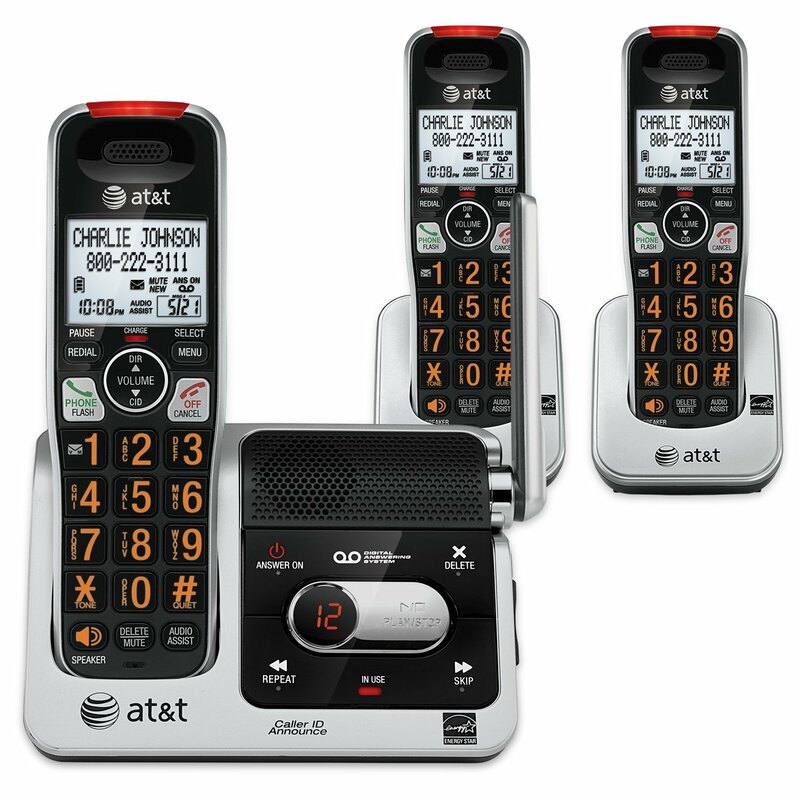 The AT&T CRL82312 phone answering system is one of the best-rated three handset systems with an extra-large LCD display and extra-large backlit buttons for easy visibility. The handsets have a heavier feel to them than budget models with an easy-to-use keypad. The system has a visual ringing indicator if your system is silenced and it can be expanded to up to 12 handsets. 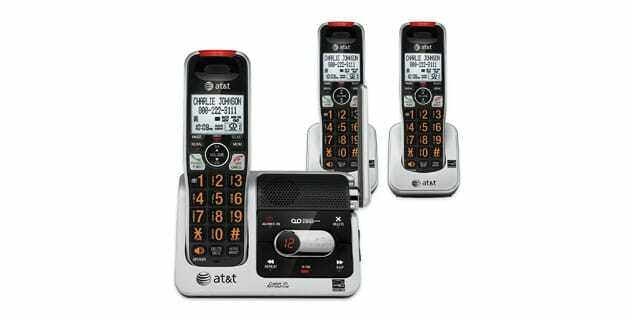 This AT&T answering system is actually manufacturer by Vtech and it includes DECT 6.0 cordless technology for crystal-clear call quality and better range without interference from nearby devices and electronics. The system works as a desktop phone or it can be mounted to a wall with the included bracket. Volume is completely adjustable and this model is compatible with hearing aids. An important business feature is the ability to conference between and outside line and up to 4 AT&T cordless handsets. If you’re tired of cordless phones that feel cheap and break after a year, the Gigaset-E630A may be the right choice for you. This sturdy and advanced cordless phone system is resistant to dust, water, and shock with an IP65 rating so you won’t need to worry about the phone breaking after an accidental drop. When a call comes through, there are vibrating and flashing alerts in addition to ringing for quiet mode. It also includes a built-in answering machine with an impressive 59 minutes of record time. 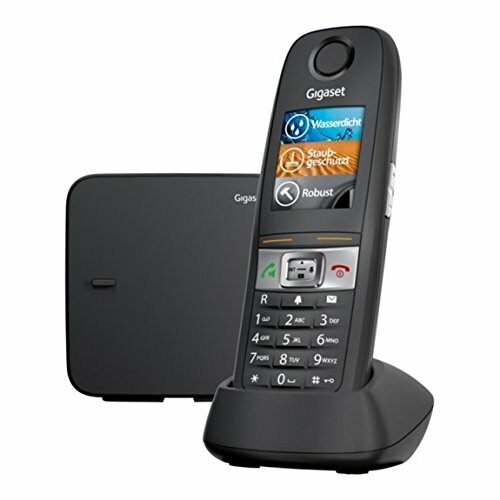 The Gigaset E630A stores up to 150 entries in the phone directory, about three times that of most competitors and basic cordless models. Other important features include headset jack for easy hands-free conference calls, speakerphone, and the ability to expand the system with up to 6 cordless E630H handsets. 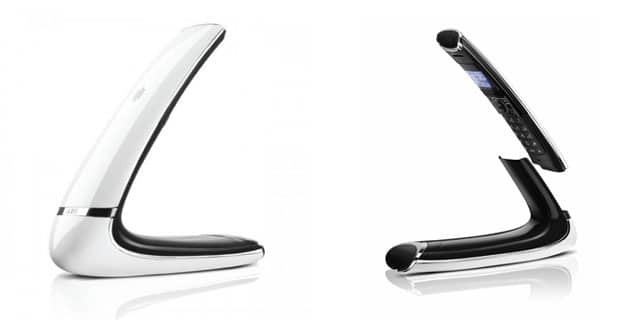 Want an eye-catching cordless phone that doesn’t put appearance over quality? The AEG Boomerang is an interesting limited edition phone with a white boomerang design and a 1.6″ blue illuminated dot matrix LCD display. The phone includes an integrated answering machine that can record up to 30 minutes of messages. Despite its elegant design, the phone is very intuitive with illuminated buttons and a clear speakerphone feature. This is definitely one phone you won’t mind sitting on your desk! Note that this phone does work in the United States, but you will need to use the included voltage converter to plug it in. It uses standard AAA batteries. 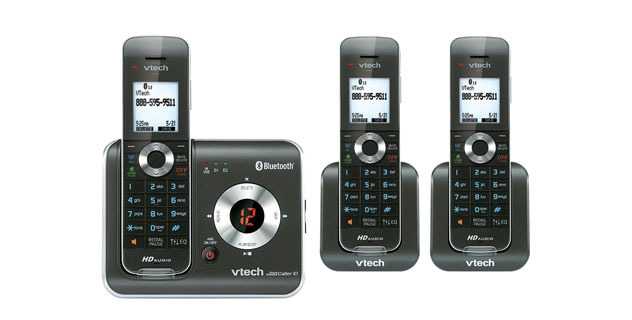 The Vtech DS6421-3 system has been named as one of the best cordless phones by Consumer Reports and with good reason. This system uses advanced DECT 6.0 digital technology to improve range and sound quality with three included cordless handsets and a built-in digital answering machine. This system combines landline and cell technology with the ability to connect to cell technology. With the Connect to Cell feature, you can receive and make cell calls from your Vtech handset without searching for your cell phone. With HD Audio, your calls with have clearer and fuller sound. All calls are encrypted and digitized for improved security and almost no chance of eavesdropping. The system also includes Push-to-Talk intercom, conference capabilities to streamline your communication, call transfers, and more. The digital answering machine can store up to 14 minutes of messages. You can expand the system to up to 12 handsets with a single phone jack. 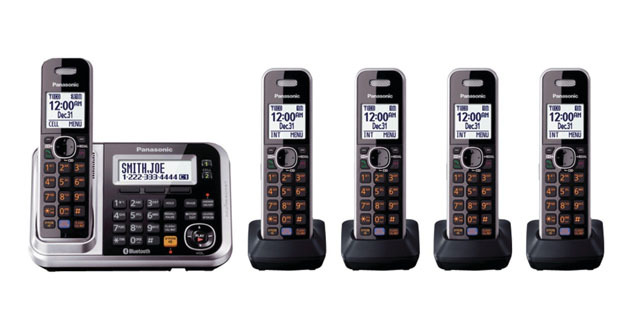 The Panasonic KX-TG7875S system is the ultimate in cell to cordless technology. This system includes five handsets with a digital answering machine system and the ability to sync your smartphone to your cordless phone with Link2Cell Bluetooth technology. You can easily make and receive cell phone calls through your Panasonic system with excellent clarity. This system allows you to sync up to two smartphones to add range and power to your office phone system. This Panasonic cordless system includes Noise Reduction to clearly hear your calls, even with ambient noise. Avoid missed texts with talking ID alerts from your Link2Cell Panasonic handsets and even keep your phone charged with the built-in USB port. With message forwarding, you can send recorded messages directly to your cell phone. The digital answering system can record up to 18 minutes of messages. This phone system is not lacking in any features you may need, whether you want the ability to store a nearly endless number of contacts in your directory, block calls, or connect your cell phones with a single touch of a button. Looking for an all-in-one cordless phone that streamlines business communications? 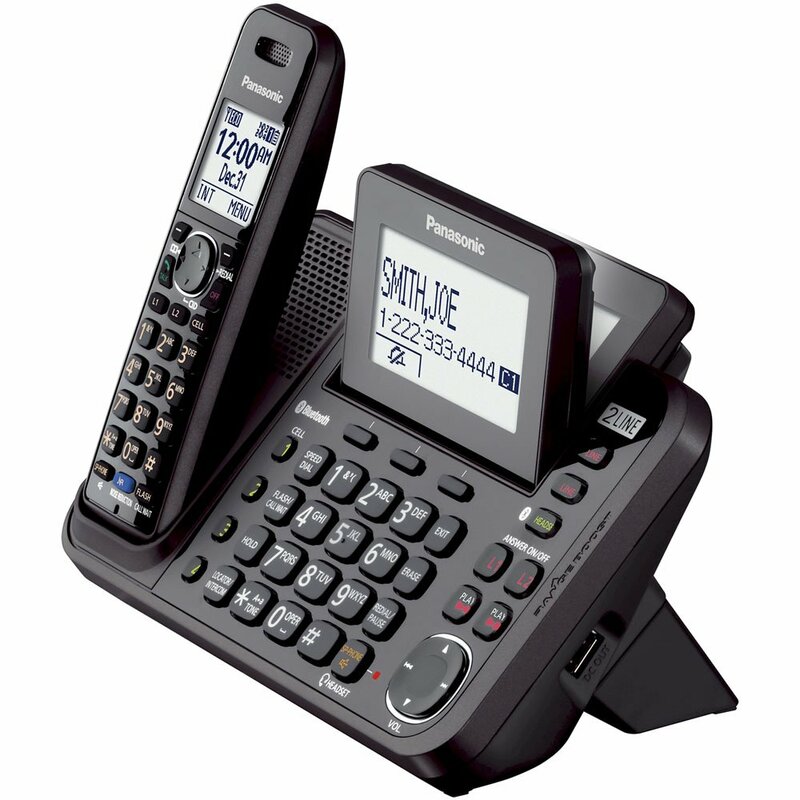 The Panasonic KX-TG9541B Link2Cell system has everything you’re looking for. 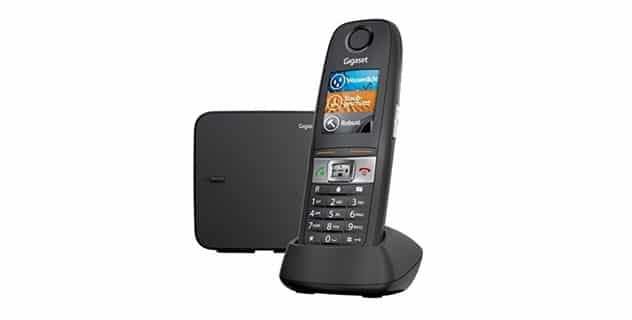 This phone system includes a large tabletop base with a single cordless handset and a large LCD display on the handset and base for Caller ID information. With the Link2Cell Bluetooth feature, you can link up to 4 cell phones with your office phone. The phone supports 2 line operation and it can be expanded to support 3 simultaneous conversations: two on the landlines and one on a cell phone. With complete smartphone syncing, you can receive text message alerts on your cell through cordless handset alerts. You will have two separate answering machines for each phone line to keep business and home separated. You will also receive message alerts at home and on the go. With message forwarding, your phone will automatically send a message to your registered office or cell phone with playback. If a single handset isn’t enough, this system can be expanded with up to 12 handsets. 3-way conferencing for 3 simultaneous conversations from your phone and 2 others. Welcome to the ultimate in business cell phone and cordless technology. The Panasonic KX-TG7642M cordless system can take your communications to the next level with advanced DECT 6.0 Plus technology and the ability to link up to 2 cell phones to your cordless office system. This model includes Bluetooth headset capability for hands-free, clear conversations and all-digital answering system. The phone system includes two handsets with a wall-mountable design. Link your smartphones quickly and easily to make cell phone calls without losing service, dropping calls, or inconvenience. You can make and receive cell phone calls through your multi-handset KX-TG7642M system. If you are talking on your cell phone and get back to the office, you don’t need to worry about lost reception. As soon as you are within range, simply pick up your handset and continue your conversation while leaving your cell phone to charge. You can transfer up to 600 contacts from your smartphone directly to your built-in handset directory with Bluetooth and enjoy other cell-to-cordless features like message forwarding and text alerts.